Under new Ownership (Since September 2010, formerly known as Creatures Great and Small). 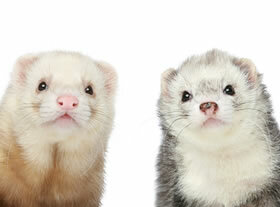 Our Mission Statement: Creatures Pet Store exists to provide our customers an exciting and rewarding pet ownership experience from mild to wild. 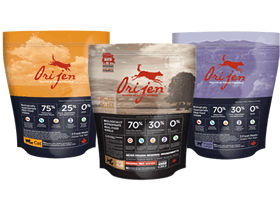 Offering a diverse selection of quality pets, premium pet foods, a large selection of unique pet accessories, competitive prices with exceptional customer service and after sale support by an experienced team. 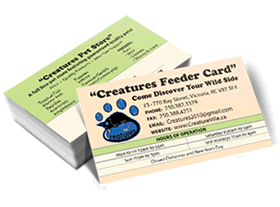 The Creature Feeder Card is a paid annual discount card for all feeder livestock. This card replaces the old Creature Card. Learn more. We are continuously getting in new arrivals weekly. Come on down and see what's new. From Amphibians & Arachnids, Birds, Fresh/Saltwater Fish, Reptiles and Small Animals.